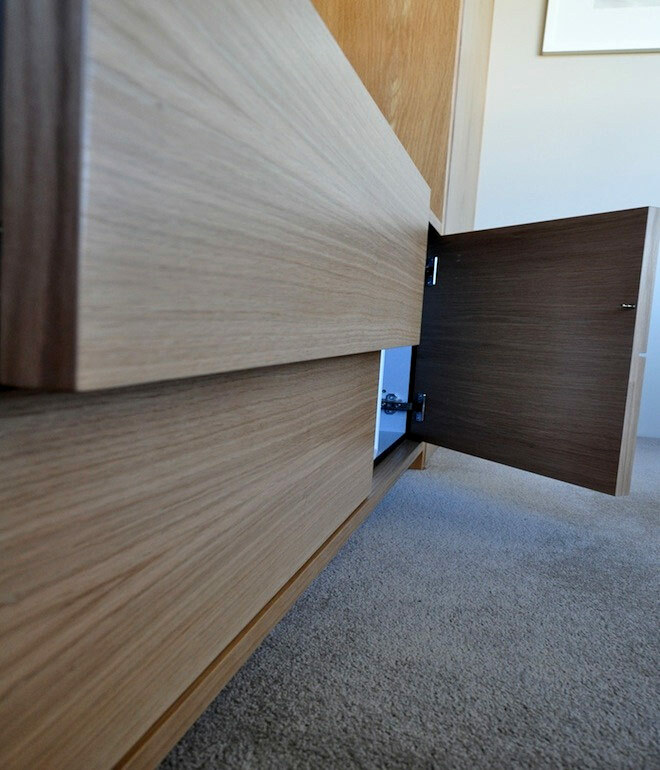 The challenge here was that the timber for the new joinery needed to match the existing oak throughout the apartment. 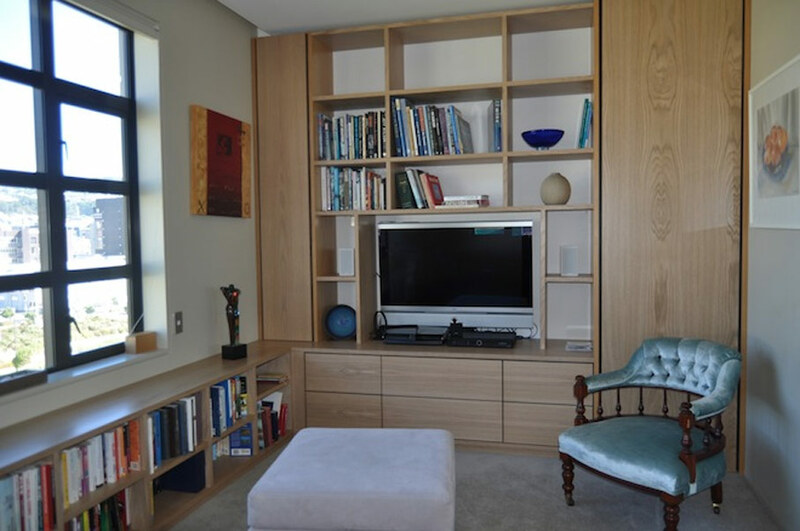 Mano rose to the challenge and the resulting floor to ceiling fitted entertainment unit and bookshelf did not fail to impress. 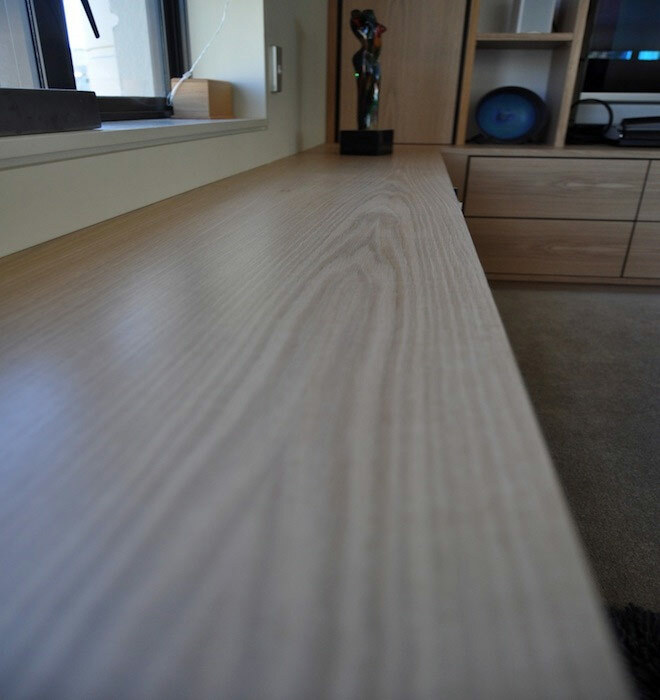 As well as being a perfect match with the existing cabinetry throughout the apartment it did not compromise on the living space, always crucial with apartment living.